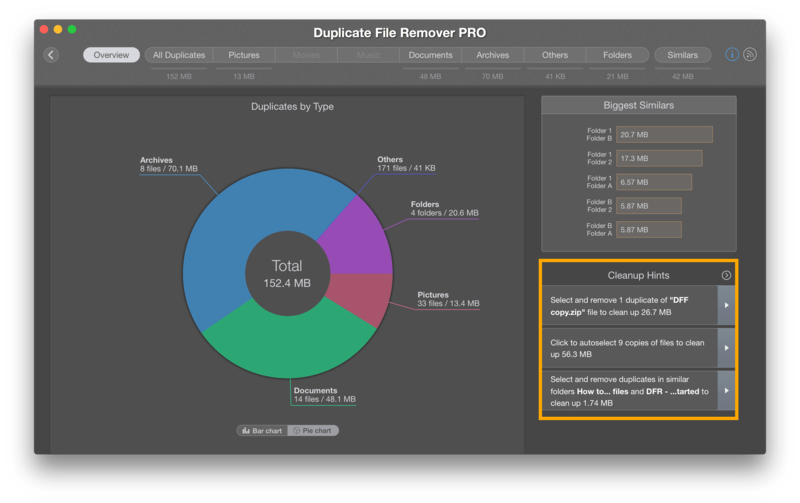 Duplicate File Remover Pro finds and shows duplicate files and folders on your Mac and proposes smart suggestions to remove unneeded copies. Find Cleanup Hints in the bottom right section of the application’s window. Click each hint’s arrow to get a detailed information about the duplicates. 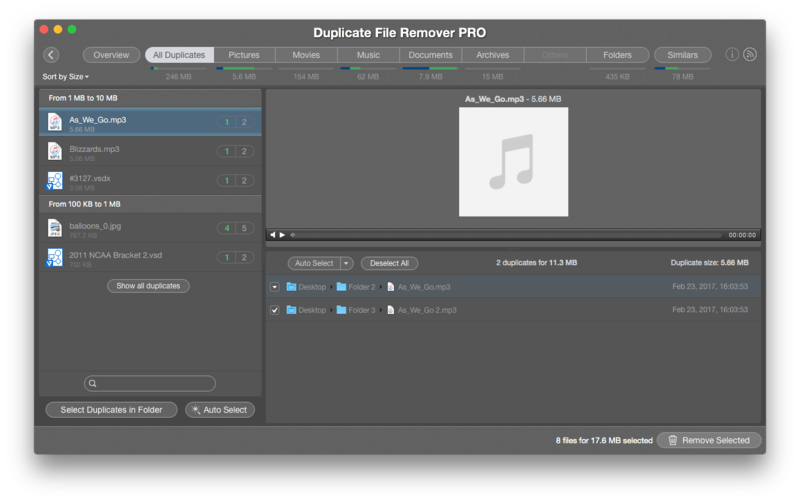 For instance, we clicked the first hint and the app showed us all folders, that contain duplicates of the file.